Defne Demirer was born in The United States in 1999. She started taking private piano lessons when she was four. She attended the Royal Academy Examinations (RAE) and finished the eight-year program when she was only eleven years old. After graduating from RAE she was selected to be a part-time student in Mimar Sinan University in Istanbul where she played the piano for 6 years. After completing a competitive examination, she got accepted into Robert High School in Istanbul. Defne was in the school's choir as well as in its orchestra. Defne formed a musical trio where they started performing classics from jazz, funk, and rock as well as their own composed music. After they recorded their music, Defne and her group started a radio show where they played both popular tunes and their own music. At this show, Defne and her friends mostly played songs from Tigran Hamasyan and Aziza Mustafa Zadeh. Her goal is to play Armenian/Turkish/Azerbaijani fusion and learn more about the principles of jazz. 1. How did you hear about Arif Mardin Fellowship at Berklee College of Music? Had you known that The Society offered funding for Turkish artists to participate in the program? I heard about this scholarship from a friend at my school, Robert College. Su Özer was also a recipient of this scholarship a few years ago and went to study music at Berklee afterward. I have always admired the level of musicality she had and the fact that she wanted to pursue a career in music. Although that was not my first aim at the time, as I got more involved in music, I just wanted to become better and better and this led me to a place where I found myself playing with professionals. Thanks to Su, I had an idea that I had the slightest chance of getting a scholarship funded by the American Turkish Society. 2. Tell us a little about your experience? How was the program? In Turkey, at school, I worked hard and practiced the piano as much as I could. Going to Robert College was not easy, especially with the heavy course load. I can say that I was one of the students who was known to be very good at music. However, coming to Berklee and opening up to a whole new, different, and a larger world, which was solely based on pursuing a career in professional music, I was startled at first. Everyone played their instruments as if they were speaking, everyone was fluent and knew exactly what they were doing. At first, I did not think that I was capable of reaching to a level like that, but as I practiced, I also discovered what I am capable of. The program starts off with two placement auditions; one practical and one theoretical. After they determine each and every musician's level, they place you in classes accordingly. Thanks to my conservatory education, I was placed into higher classes and got to play with experienced musicians. 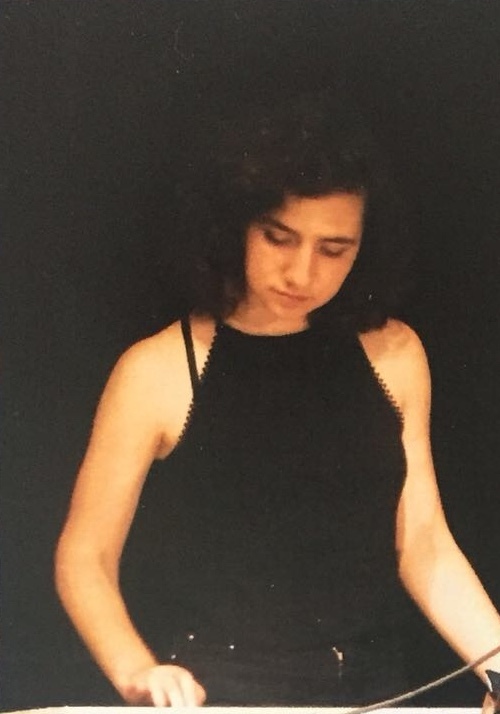 I was in the World Music Ensemble, which was the closing act in the concert that ended the five-week program, and I was in the Balkan/ Middle Eastern Ensemble which I specifically had to audition for. In the Balkan/Middle Eastern Ensemble, we did exactly what I was trying to learn more about. We took traditional songs, and with the arrangements of our teacher, Plamen Karadonev, we interpreted the tunes into jazz/fusion. I had so much fun and learned a lot during the process. Other than ensembles, we had Musicianship and Theory classes, in which I learned how to efficiently compartmentalize my practice time, which scales to practice, in which ways to practice, and started learning jazz theory. Also, Jazz- Styles Lab helped get a glance at jazz improvisation. At the end of the program, we had concerts and examinations which demonstrated we had lots to learn and that we had learned a lot. 3. How has your experience as an Arif Mardin Fellow impacted your work as a musician/artist? I definitely can say that I gained much more confidence. I also had a chance to realize that the hard work I put in will eventually pay off. I started practicing even more. I am going to study Neuroscience in the pre-med track alongside with music at the University of Columbia. I am planning to get to a professional level in music, and hopefully get to perform alongside with university and work. Again, I want to thank you so much.